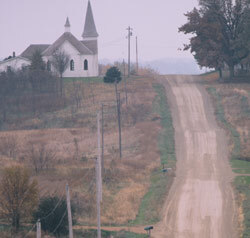 Historic Trondhjem Church is located near Lonsdale, Minnesota in Rice County. Built by Norwegian immigrant farmers and placed on a hilltop with views of the rolling countryside, the first church on this spot was constructed in 1878. In 1899, it was redesigned and rebuilt incorporating parts of the first church. No longer occupied by the Trondhjem Lutheran Church congregation, Historic Trondhjem Church is listed on the National Register of Historic Places and is under the care and restoration of the Trondhjem Community Preservation Society, Inc.
Syttende Mai, Sunday, May 19, 2019 at 2:00 p.m.